This holiday, wake up to a winter wonderland! 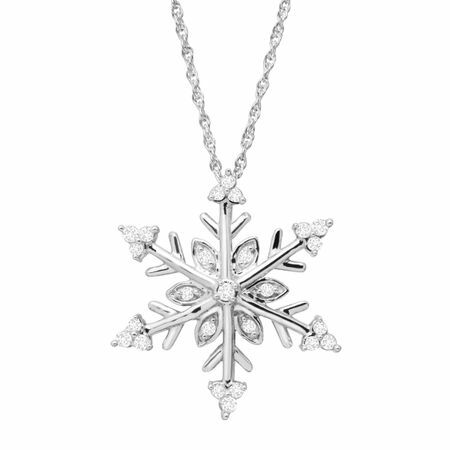 A sterling silver snowflake is dotted with sparkling round-cut diamonds, totaling 1/4 ct, making this pendant really shine. Piece measures 13/16 by 3/4 inches. Comes with a sterling silver 18-inch rope chain with a spring ring clasp.